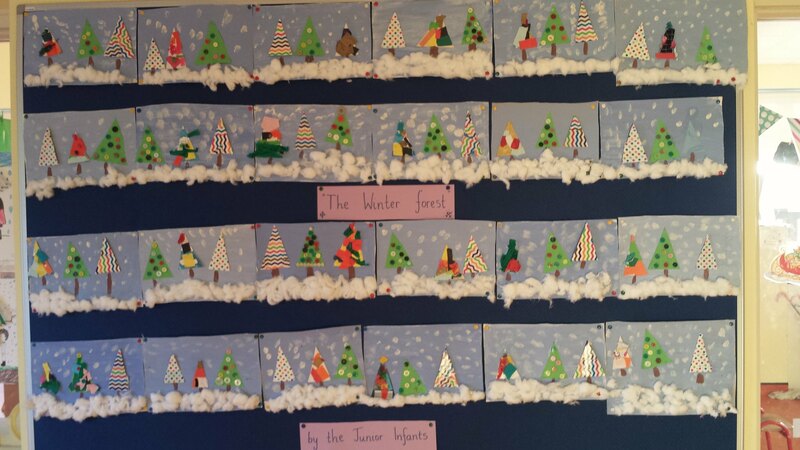 Below are some of the art and craft activities that the children in Junior Infants have completed so far in Term 2. 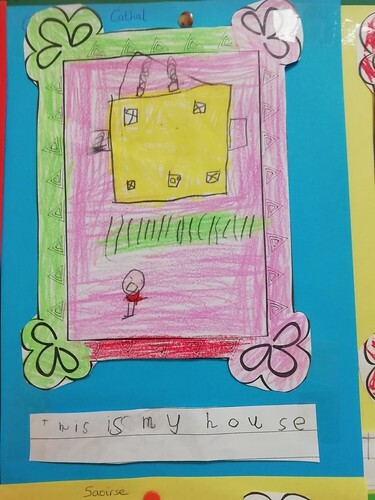 One of our main themes in the classroom in January was 'Homes and Houses'. 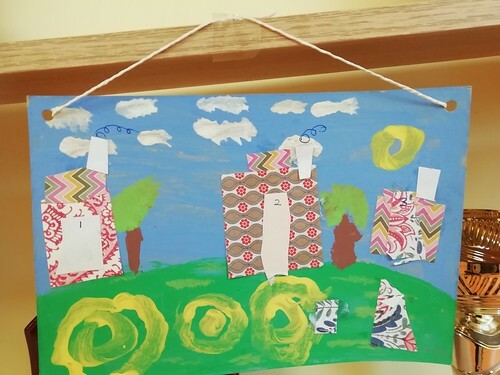 We were lucky enough for Santa Claus himself to send us pictures of some houses he had taken on his journey around the world this Christmas eve. 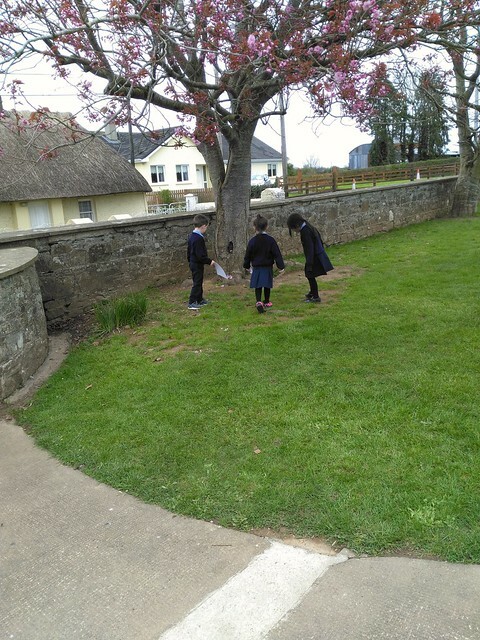 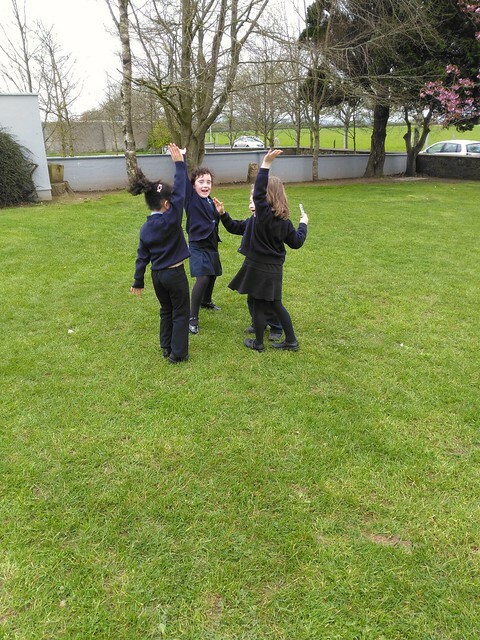 We looked at the many different types of houses in Ireland and around the world. 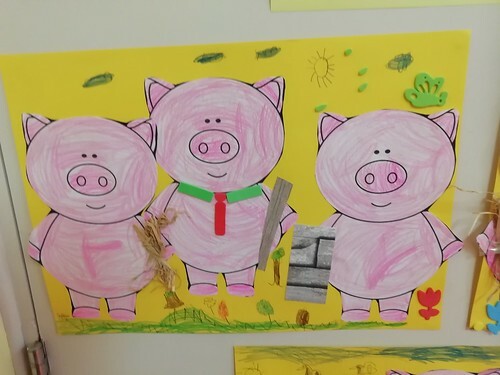 We read the story of the three little pigs.We completed a number of drawing and writing activities based on this theme. 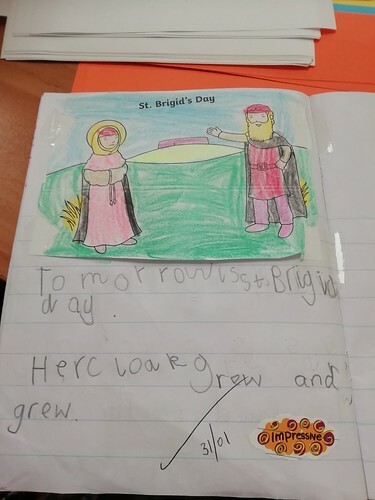 We did writing and colouring about Saint Brigid after we learned about her in our Grow in Love Programme. 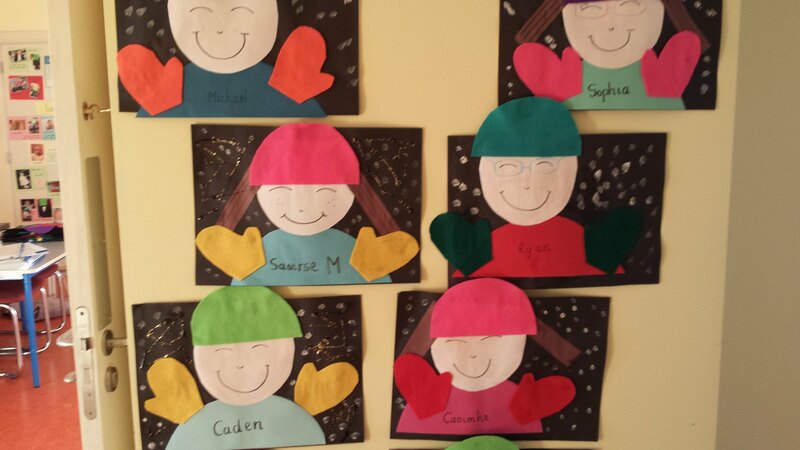 We made a Valentines card for our parents for Valentines day. 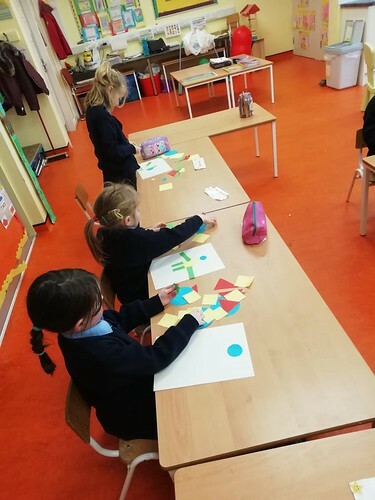 We also made a 2d shape picture using circles, squares, rectangles and triangles. 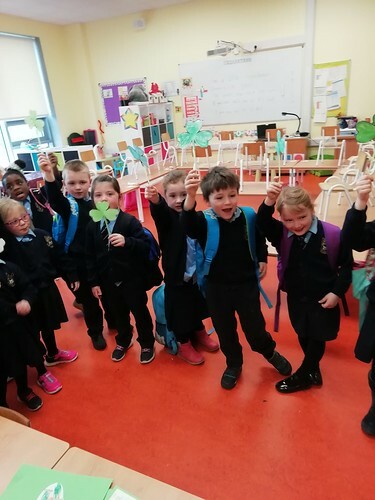 The children learned all about Saint Patrick in our Grow in Love Programme. 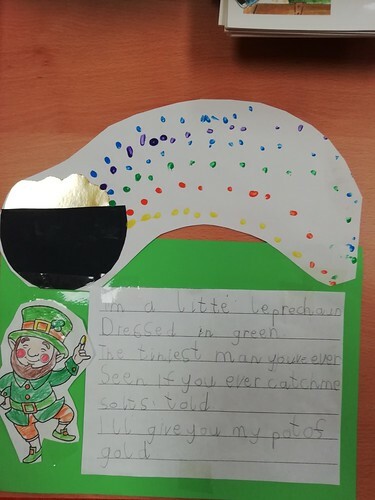 To celebrate the day, we learned a fun poem about a leprechaun and put together a piece of art using painting, colouring, cutting, sticking and writing. 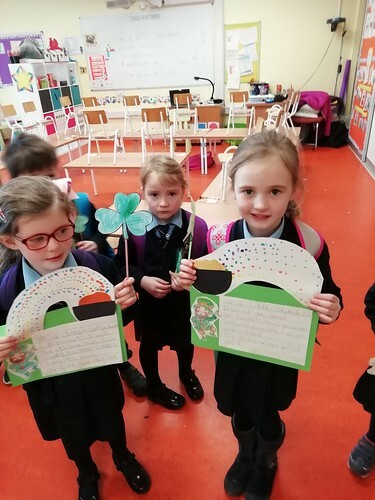 We also made some shamrocks to bring along to the parade. 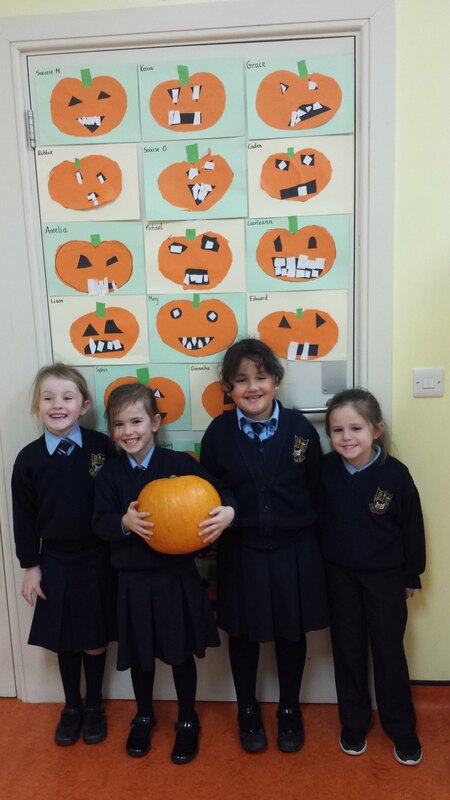 The children really enjoyed their first Halloween in Junior Infants. 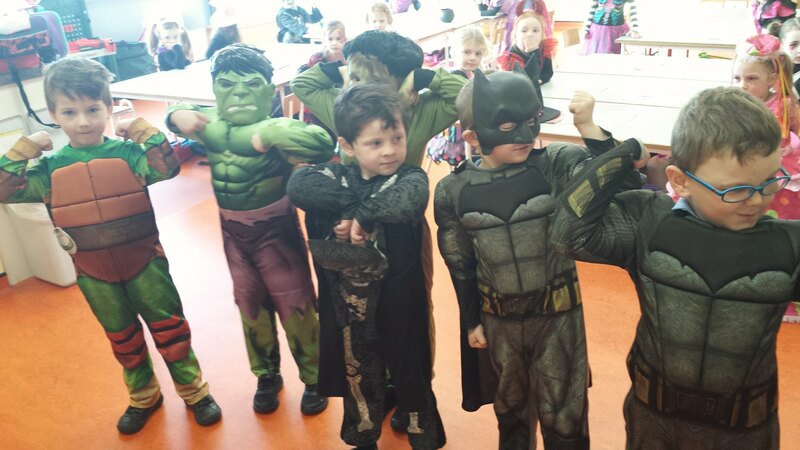 They were so excited to dress up in their scary costumes and go trick or treating to the other classrooms. 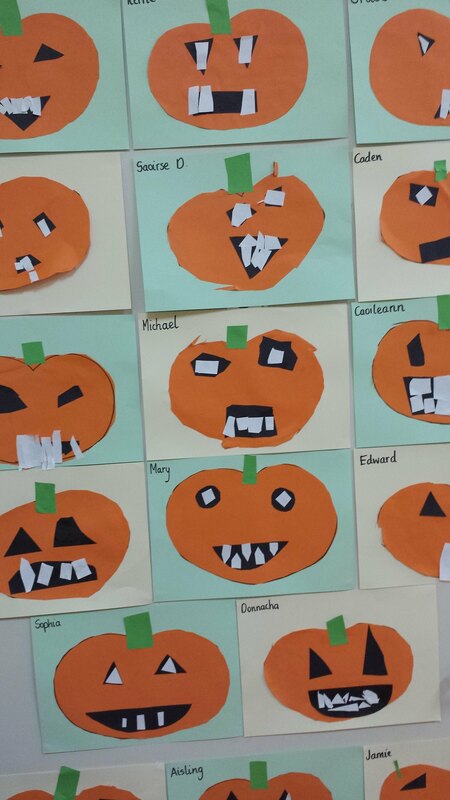 They made some very spooky art and crafts. 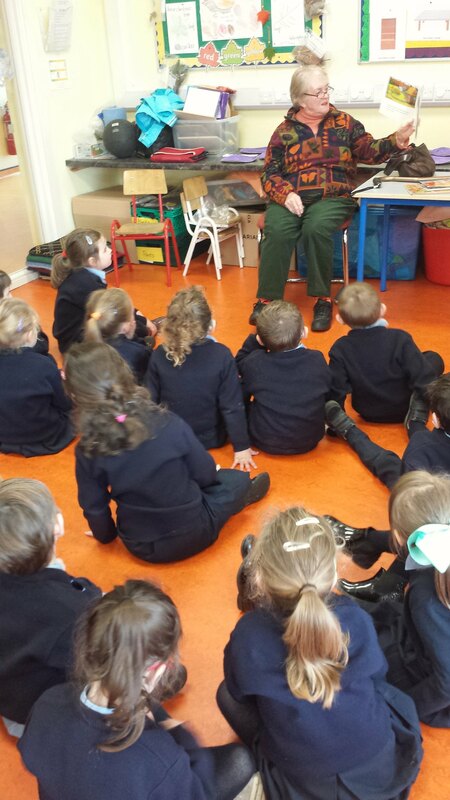 We were lucky enough to have a very special visitor - Caoileann's grandmother who came all the way from America to tell us some wonderful stories and poems. 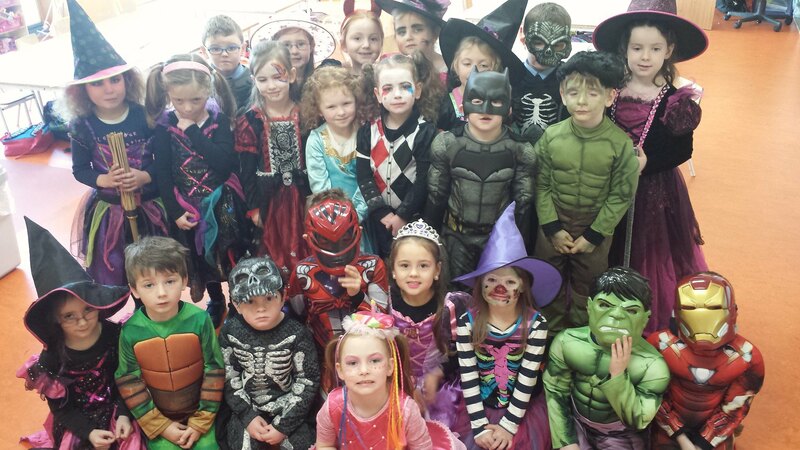 The children had so much fun. 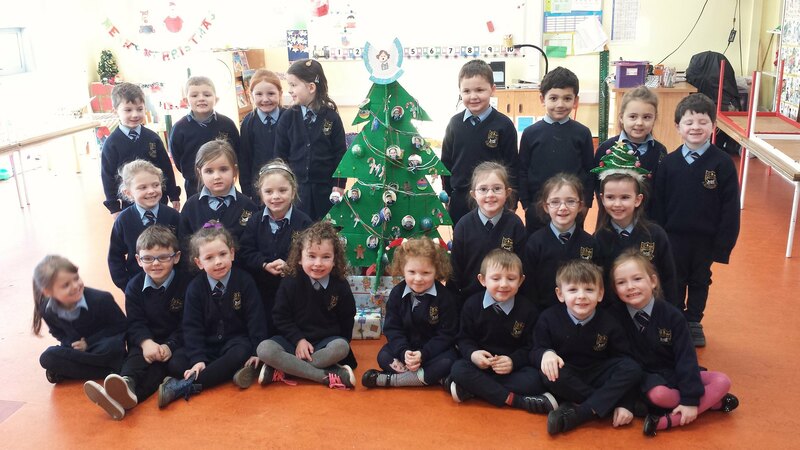 The Junior Infants were so excited during the build up for Christmas. 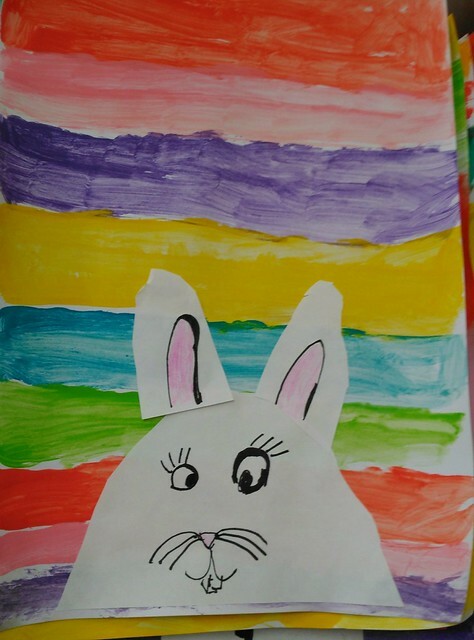 These are some of the art and craft activities that they completed in the weeks leading up to their favourite time of year. 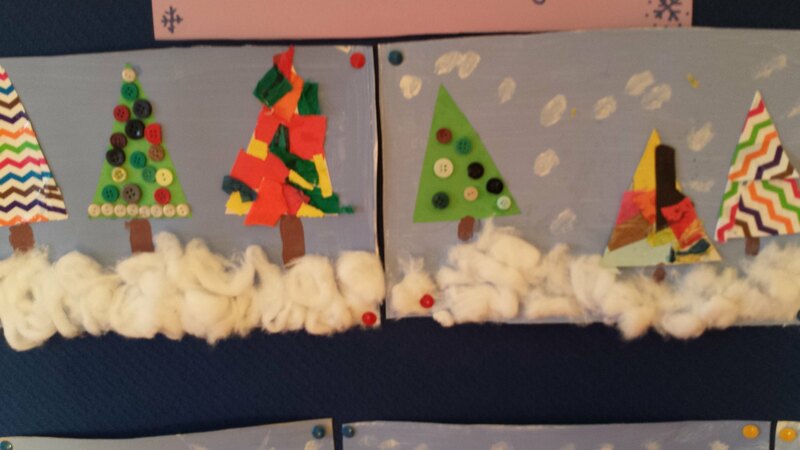 Our Aistear role play area for December was 'Santa's workshop'. 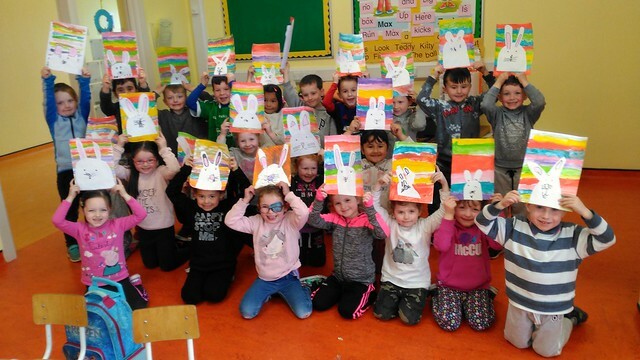 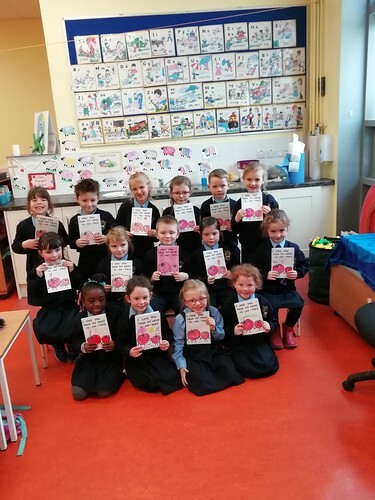 The children in Junior Infants have been busy getting ready for Easter. 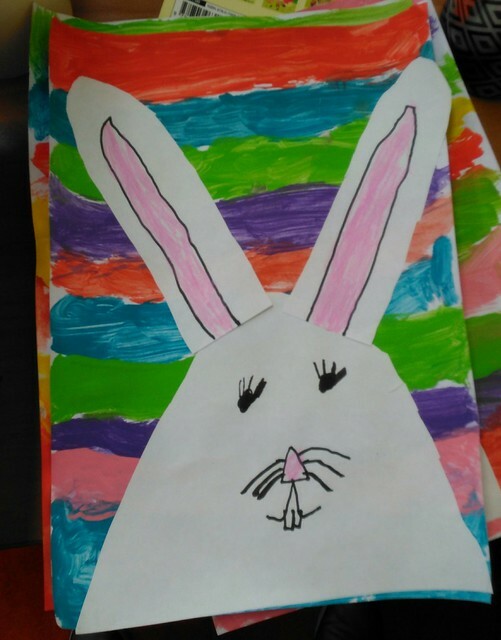 They did some wonderful Easter and Spring themed art work. 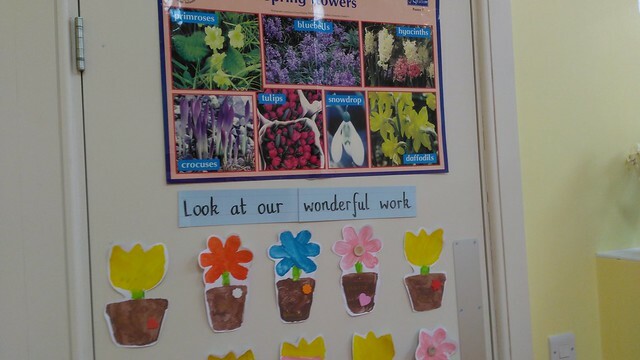 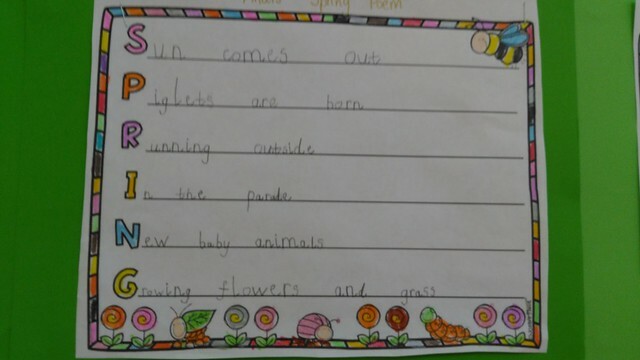 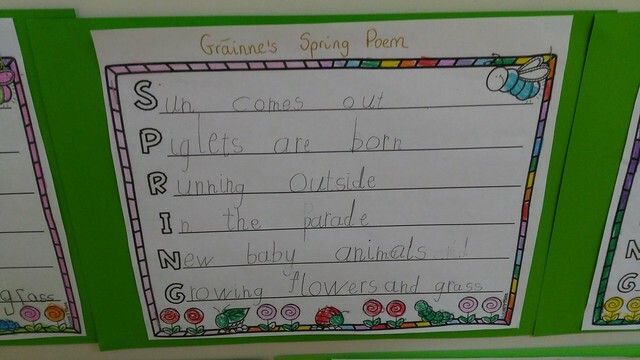 One of the writing activities they completed over the past weeks was writing a Spring poem together. 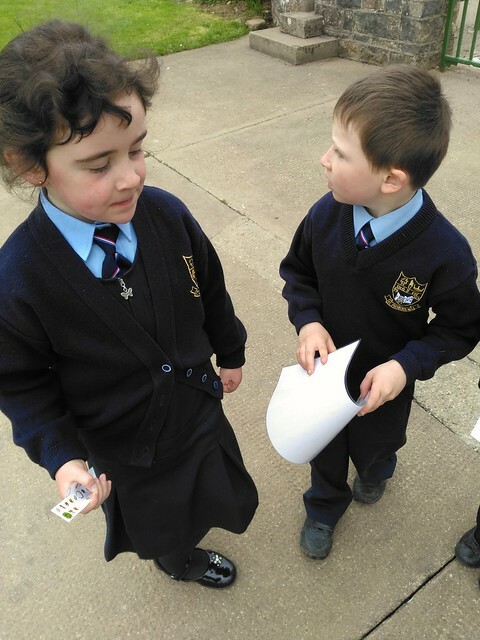 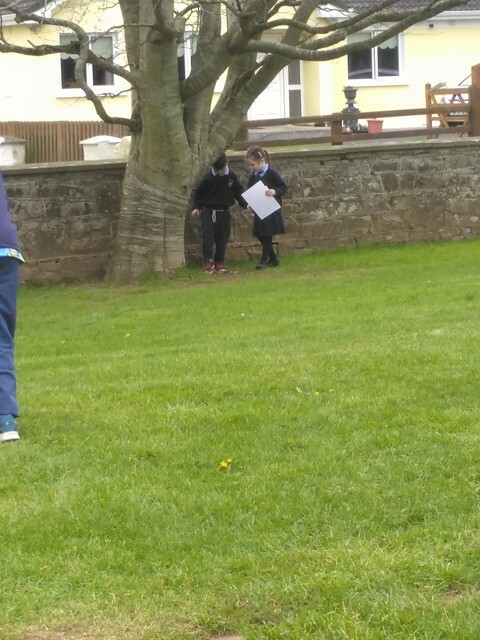 The children also had an exciting Easter hunt today. 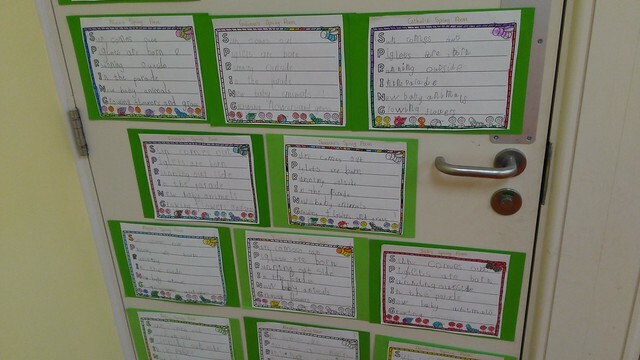 They worked in teams to find the sight words we have been learning over the past few weeks. 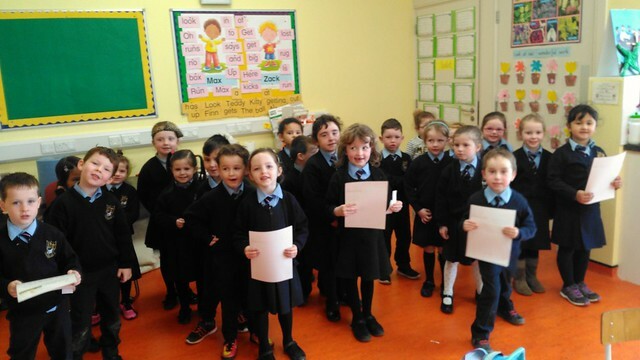 They were rewarded with chocolate eggs for their handmade baskets when they found all the words.